I had a very busy time over Christmas. 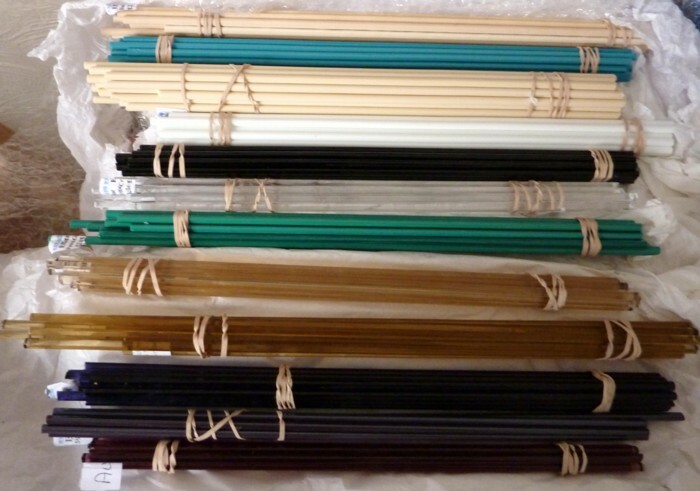 In the end we got the bits and pieces for making my lampwork enclosure from B&Q instead, since the carpenter completely failed to give us the quote he said he would… and we never heard from him again! So there was some excitement and a lot of hefting involved in getting large pieces of MDF and cement board home on public transport. (Our ‘local’ B&Q is not particularly local). Most of my Christmas presents from my boyfriend were construction materials and tools! I hadn’t done anything more DIY than putting together flat pack furniture, so it’s all been rather interesting. I’m not entirely finished yet, but everything’s cut to size and sanded. The sanding has taken a while and been exceedingly messy, as sanding is. I’d have got it done faster if I didn’t have to cover everything with dust sheets each time before I could begin! Then there was all the hoovering after. The sanding itself was quite fun though – Black & Decker power sander go VROOOM. I finally got hold of the correct fan too (don’t ask – motto of the story is to always go for the eBay seller, since they actually care about negative feedback!) so that’s sitting in its box waiting for me to attach the power lead. Christmas was also hectic because I had the bright idea to make some of the presents. This always takes longer than expected. 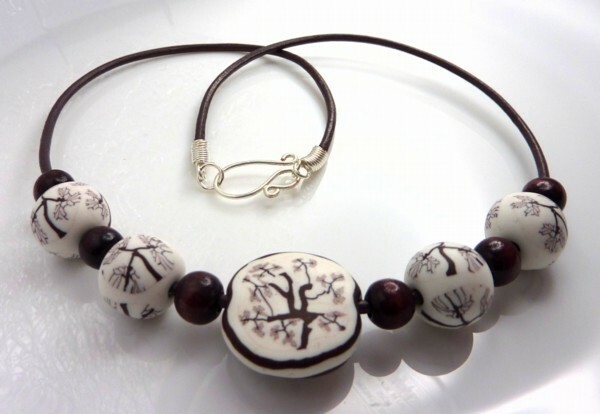 I also got a very last minute commission from my mum to make a necklace using my polymer clay tree cane for my brother’s girlfriend and ‘a few’ other necklaces she could give to other people. 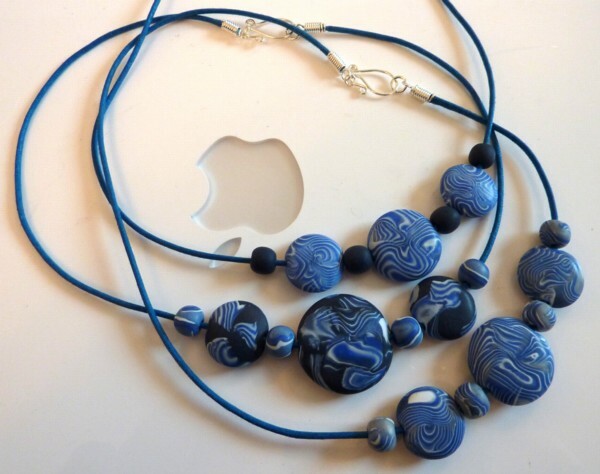 I went for the simple as possible option – polymer clay beads on leather or waxed cotton cord, with hook fastenings. I did make the hooks. 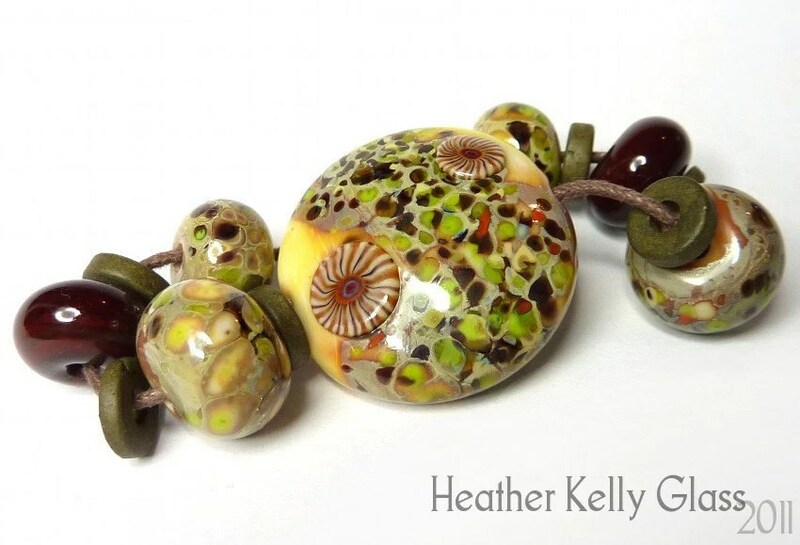 I’d been experimenting with the polymer clay version of mokume gane, a Japanese metalworking technique (mokume = woodgrain), so I made a whole load of lentil beads decorated with thin slices from my mokume block and some quick small spacers using the stripy offcuts from the sides. 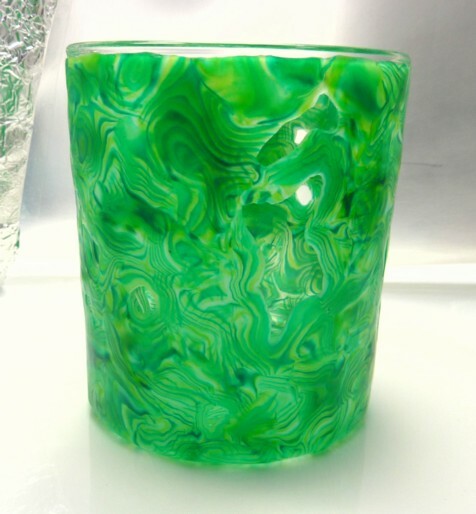 I also made a green mokume block and used it to decorate a pair of glass tumblers as part of my parents’ presents. I shall end with a picture of my glass. Oooo, glass. I’m not buying any more until after I’m up and running and have a good idea of what colours I want more of. What we have here in the first photo is my Effetre starter pack, split into transparent and opaque (the pringles tubes!) and between them is a mixed selection of Effetre stringers. 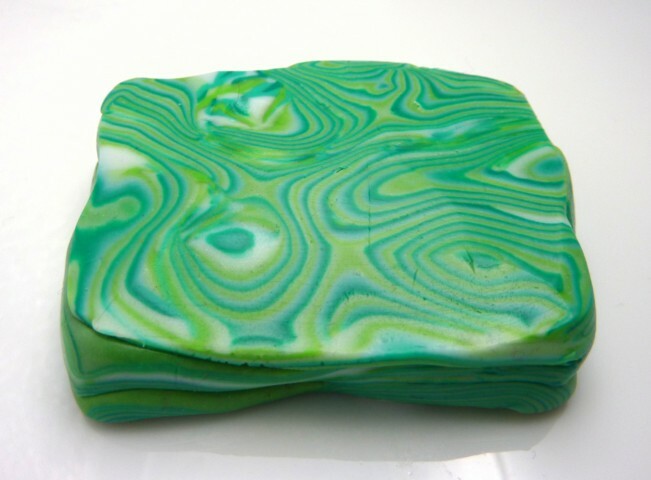 Then there’s a CiM selection pack (so pretty!) and a small Reichenbach 104 selection pack. 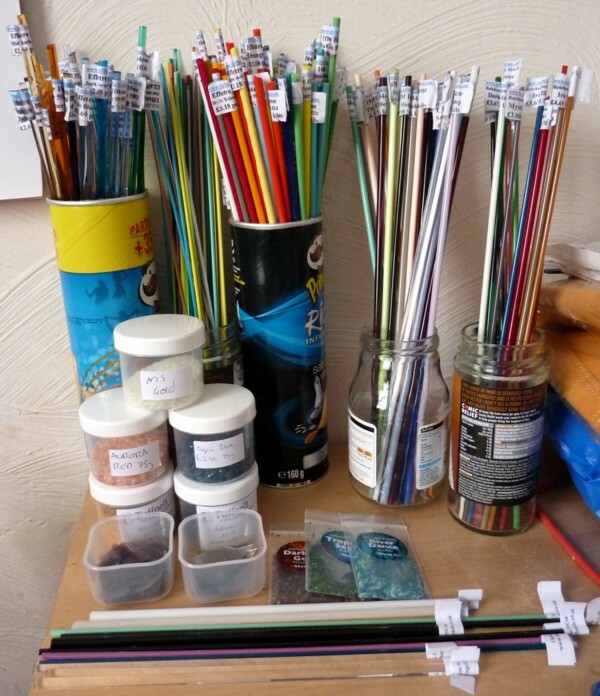 In front there’s some frit in tubs from Tuffnell’s, three Val Cox frit blends, two sets of shards from Rachel Elliott, and the rods at the front are CoE 96 from A String of Beads. Did I mention oooooh, glass? I am also going to the UK Flame Off in Towcester in April. Demonstrations! Torches to try out! Vendors and the lampworkers’ village to make me spend all my money! I’m staying overnight on Friday and will be there both days. It’s very exciting! (If you want to see what I’ve been making before I get round to mentioning it here, have a peek at my Flickr photostream).